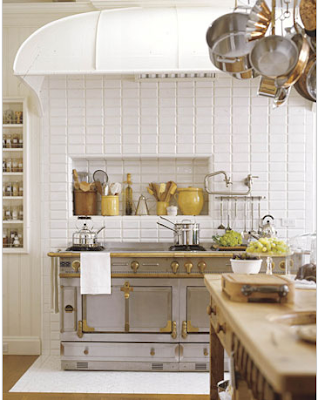 I love La Cornue French ranges. 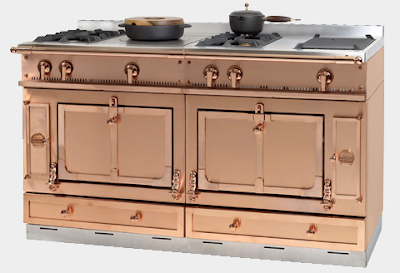 They come with a hefty price tag, ranging from $7,000 and $40,000 depending on the size and features, but you can't deny that they make a serious statement in a kitchen. 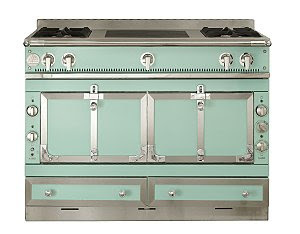 They come in a variety of colors and I've taken a liking to the aquamarine, you could design a whole kitchen around it, and how many ranges can you say that about? 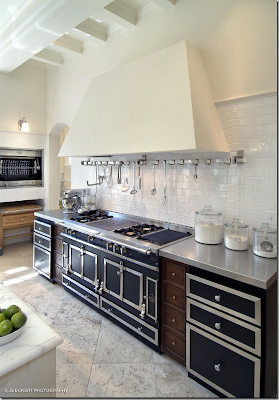 *Photos from Cote de Texas and Design-ties, and William Sonoma. These are gorgeous! I can't wait to make millions and have you design my house!!! 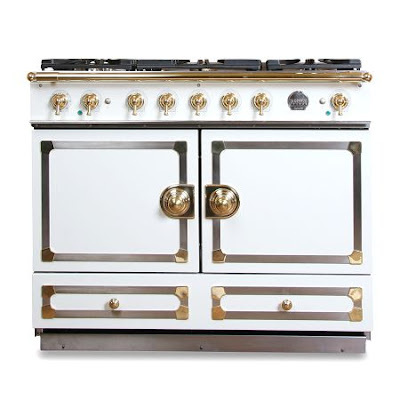 So when you design my dream kitchen one of these is totally going in! That should be coming up soon. Then I won't have to go to William-Sonoma and drool over them any more.